Have you shopped in chain furniture stores and not found exactly what you’re looking for? Then, you have two options. You can continue shopping at those stores and expect a different result. Or, you can explore custom made furniture. So here are 5 Reasons to Consider Custom Made Furniture. 5 Reasons to Consider Custom Made Furniture shows that every item from Brandenberry is customizable. Many homeowners doing a makeover of a room – or several rooms — choose custom made furniture. Because it gives them the ability to get the styles and features they want. Plus, home owners can order pieces that fit the specific dimensions of the room. In fact, furniture lovers have been known to visit furniture manufacturers several states away to order custom furniture. Let’s say you have a magnificent hutch. And you can’t find a matching sideboard. Or you inherited a solid wood dining table. But matching chairs are nowhere in sight. Or perhaps you need a coffee table to complement the nightstands you couldn’t resist at an estate auction. In cases like these, custom made furniture is your best option. And no one but you will be able to tell that you didn’t get all the pieces of furniture as a single set. One of the cool advantages of custom made furniture is that you can order a piece to fit a particular spot in your home. For example, you can order a bookcase to fit the expanse of empty wall in your living room or home office. Or a breakfast nook for the cozy corner by the windows. So forget shopping for furniture that ‘almost fits’. Instead choose custom furniture for the perfect fit. Custom furniture builders typically offer furniture representing a wide selection of styles and designs. And Brandenberry Amish Furniture in Shipshewana, Indiana, is one such supplier. So let’s say you choose a piece that you just love. But you want to make some adjustments. No worries. Because you can just give your specs to Brandenberry. And they’ll supply you with the furnishings that are exactly what your heart desires. For example, if Brandenberry shows a piece in oak, you can order it in the wood specie of your choosing. Also, prefer an entertainment center with speaker cloth-inlayed doors instead of glass or wood? Check. How about a door instead of a drawer in your mule chest? Got it. Or drawers and doors with a soft-close feature. Done! Or do you want a particular varnish or hardware? You get the idea. Brandenberry lets you design your furniture to your liking. Brandenberry offers nothing but heirloom-quality furniture. This is because Amish artisans custom-craft each item of furniture. And the Amish cabinetmakers use solid Midwestern hardwoods. Like oak, maple, cherry and hickory. Plus, the Amish men draw from traditional woodworking techniques. This means each piece of custom furniture is incredibly sturdy and durable. In fact, with proper care, the pieces you buy should last for generations to come. Brandenberry offers a wide array of different items of furniture – all custom made. So check out the collection in the Brandenberry furniture catalog online. Or, visit their ‘brick and mortar’ store in Shipshewana, Indiana. And talk to their expert customer service staff about creating custom made furniture that perfectly fits your home and lifestyle. It’s no coincidence that so many law offices choose barrister bookcases. Their large book compartments, sturdy shelves plus their retractable glass doors are ideal for storing large lawbooks and journals. These same features make them perfect for other applications as well. Barrister Bookcase: More Uses Than the Law Allows makes the relevant arguments, using barrister bookcases from Brandenberry Amish Furniture as evidence. Amish cabinetmakers in the Midwest painstakingly handcraft each barrister bookcase from Brandenberry so they’re incredibly sturdy and durable. This means you can count on the strong solid wood shelves to bear the weight of heavy lawbooks. Also, the roller glides make the doors slide smoothly into the cabinet so access to books is a breeze. Optional decorative leaded glass inlays inside each door enhance the old-world look. Other options include clear glass and many leaded glass patterns. These features and options make the Brandenberry barrister bookcases a great addition to a law office or a lawyer’s home office. Novel curio cabinet. Many home and apartment owners choose a barrister bookcase for storing and displaying curio objects like precious books, vintage cameras, table clocks and kaleidoscopes. Keeping these precious behind the retractable doors reinforces their special status in the home. Chic dining room hutch. Homeowners living in or wanting to create an unconventional house or apartment have been known to choose a barrister bookcase as a kitchen or dining room hutch. Why? The glass front protects dishes, makes them easy to find and showcases them nicely. Also, the retractable door makes it easy to load and remove dishes. 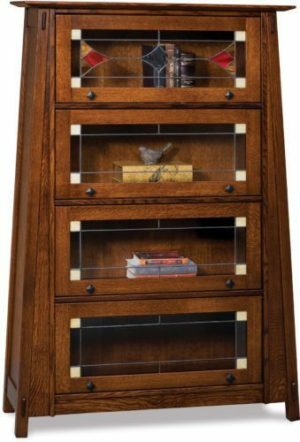 What’s more, the barrister bookcase is smaller than a traditional hutch so it fits better in confined spaces. Attractive bedroom storage. Short of adequate bedroom storage but big on imaginative solutions? This is the motivation for adventuresome furniture lovers who use a barrister bookcase to store shoes or clothing in their bedroom. Ensconced behind the glass, everything stays visible and protected from dust. Also, access couldn’t be easier. Lawbooks traditionally have first dibs on barrister bookcases. But who can fault creative homeowners who have found other creative uses for this bookcase with sturdy shelves and easy-to retract glass doors? What applications can you think of in your home? To view bookcases from Brandenberry, visit Brandenberry Furniture’s website or stop in at the Brandenberry Amish Furniture store in Shipshewana, Indiana. Are the bathroom vanities in your house as upscale as the furniture in the rest of your home? This needn’t be the case. Because you can choose Amish-crafted, solid hardwood bathroom vanities from Brandenberry Amish Furniture. The bathroom vanities are all part of Brandenberry’s Bathroom Sink Collections: Solid Wood Bathroom Vanities. The Landmark Free-Standing Sink is one of the many Amish-crafted, solid hardwood bathroom vanities available from Brandenberry. Picture your bathroom vanities made of solid wood. And imagine being able to close the drawers and doors with nothing more than a gentle push. Also, think about your favorite type of countertop with backsplash. Like granite or solid surface. Because these features, and more, are what you’ll get with bathroom vanities from Brandenberry. What’s more, you can choose units with a classic or modern look. In enclosed or open designs. Also, Brandenberry offers vanities with single or double lavatories. All ready for your choice of faucets. Highly skilled Amish cabinetmakers handcraft each bathroom vanity. And they use solid hardwoods. Like oak, maple, cherry and hickory. Plus, the Amish men draw from skills handed down from their ancestors. So the units you choose will be very sturdy and durable. In fact, with proper care, vanities from Brandenberry should last for generations to come. What’s more, you can match the bathroom vanity or available corner bathroom sink with a bathroom mirror from Brandenberry. Don’t see the bathroom furniture that really strikes your fancy? No worries. Just send Brandenberry a photo of your current bathroom designs. And their craftsmen can design and build you the perfect bathroom furniture. 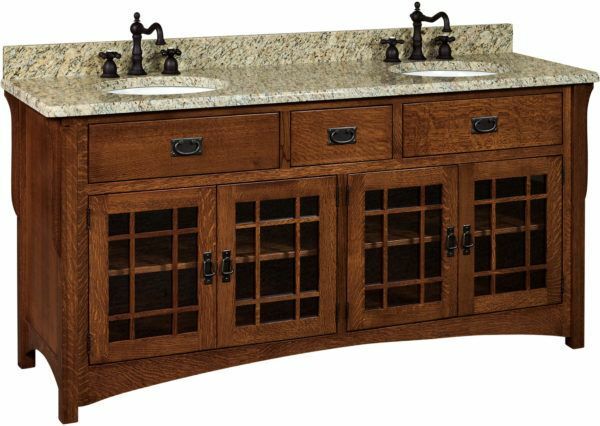 To view the Brandenberry’s bathroom sink collections, check out Brandenberry Furniture’s online store. Or, visit their ‘brick and mortar’ store in Shipshewana, Indiana. And talk to their expert customer service staff about creating custom-made furniture for your home and lifestyle. Big savings on custom hardwood, Amish-crafted furniture await you at Brandenberry Amish Furniture in Shipshewana, Indiana. Because the Brandenberry Spring Sale runs through April 16, 2018. Special sale prices on furniture items include up to 70 percent off discontinued floor models. Plus $100 off any TV cabinet, 20 percent off Flexsteel furniture and 15 percent off all bedroom furniture. Brandenberry Spring Sale runs through April 16, with big savings on furniture such as this fabulous dining room collection. Mattresses are also on sale. Full-size mattresses start at $199. In addition, Brandenberry is offering 20 percent off accessories, framed art and pictures. Also, customers can sign up and win a prize. The Brandenberry Spring Sales ends soon. So visit Brandenberry today. Brandenberry Amish Furniture is located at 1045 N. State Road 5 in Shipshewana. It’s at the intersection of State Road 5 and US 20, near the Indiana Toll Road. The store is open Monday through Saturday from 9 a.m. to 5 p.m. and by appointment. If you’re like most people, you enjoy having familiar items close to hand when you’re in bed. Items like books and magazines for reading. You also like having your smart phone, laptop and other devices close by to stay on top of your social life. Also, it’s nice having a pen and pad for scratching notes. Plus a few items of clothing to slip into. Brandenberry Amish Furniture offers a bed which can accommodate all of these items – and more. It’s the Country Pier Bed Suite: Like a Bed on Steroids. The Country Pier Bed Suite is like a bed, bookshelf and vanity plus two matching nightstands and armoires rolled into one. So you could not ask for a bedroom ensemble that’s more convenient. Also, with the combination of cupboard space and drawers, mirrors and lights, you couldn’t ask for a bed that’s more grand! Nestled between the drawers and panel door on each side is a convenient pull-out writing board. It’s a great place to rest your reading material, laptop or other devices. Or to jot a note. Make sure you check out the touch lights, beveled mirrors, bookshelf/countertop and two storage cubicles in the headboard. Skilled Amish cabinetmakers custom-build each Country Pier Bed. And they use solid hardwood plus skills handed down from their ancestors. That’s why the suite is so well crafted! In fact, you can expect it to last for generations to come, and maintain its value over time. With its modern design and solid hardwood construction, the Country Pier Bed will go well with your existing upscale furniture. Available as shown or unfinished and in king, queen or full sizes, the bed suite is customizable to meet your requirements. 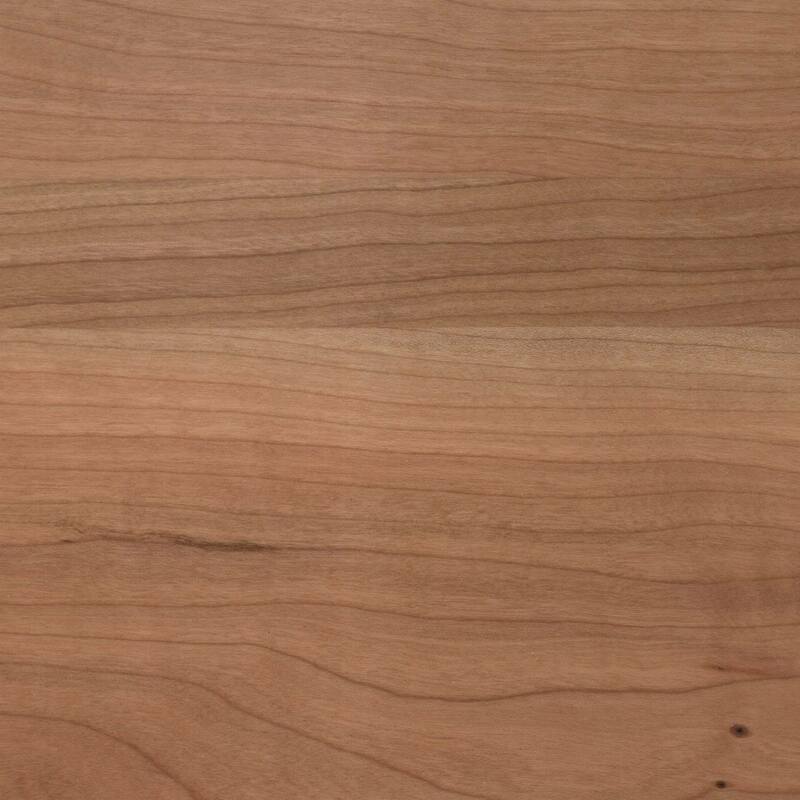 Wood choices include maple, cherry, hickory, walnut, grey elm and oak (shown). To view the impressive Country Pier Bed Suite, visit Brandenberry Furniture’s online store catalog. Or stop in at their ‘brick and mortar’ store in Shipshewana, Indiana. Check out their section of solid hardwood, Amish-crafted beds and bedroom furniture for yourself. So you’ve ordered your fabulous solid hardwood, Amish-crafted furniture from Brandenberry Amish Furniture. How do your treasured pieces arrive at your house? Of course, you can pick everything up at Brandenberry’s ‘brick and mortar’ store in Shipshewana, Indiana. You would potentially save some money on shipping costs. Or, you can arrange for Brandenberry to ship your furniture to you. Don’t Have a Truck? Brandenberry’s Shipping Policy explains your options. After your new furniture order is finished, packaging and shipping take about three weeks. Your shipping charges depend on three components. They are the size of your furniture order, the number of miles to the delivery destination and the type of delivery service you choose. Also, your options include curbside or in-home delivery with setup. Via Common Carrier. Do you live outside of Brandenberry’s 200-mile delivery radius? Then the company will ship your furniture via common carrier, such as Yellow Freight or Roadway. Once the furniture arrives at the carrier’s destination terminal closest you, a PackShipUSA representative will call you to schedule the delivery. Your furniture will arrive by truck. However, you, or someone you designate, must be present to assist the delivery driver with unloading. Also, curbside delivery means just that. You’re responsible to transfer the furniture to the inside of your home. So this is where being on good terms with your bodybuilding neighbor comes in handy. Via Common Carrier. With Curbside Delivery Plus In-Home Setup, the shipment via common carrier is the same as Curbside Delivery described above. However, in this case, the driver plus an assistant make the delivery. Also, the two men will carry your furniture to the room(s) you requested. In addition, they will set up your furniture as needed. The delivery time for Curbside Delivery with In Home Setup is 14-21 business days. This delivery method is more expensive than Curbside Delivery. Via Brandenberry Furniture Delivery Team. This delivery method is similar to the Brandenberry Delivery Team process discussed above. However, at least two people make the delivery. The delivery team carries the furniture to the requested room(s) and does the setup. For more information on Brandenberry’s Shipping Policy, and to view Brandenberry’s full collection of solid hardwood, Amish-crafted custom furniture, visit Brandenberry Furniture’s online store, or check out the furniture in person by visiting their ‘brick and mortar’ store in Shipshewana, Indiana. Looking for a new chair, sofa, loveseat or sectional for your living room or den? Then, you most likely have some criteria in mind. Like comfort, great looks, quality construction and durability. These features accurately describe Flexsteel products. And the mission of Brandenberry Amish Furniture. That’s why you’ll find Flexsteel: Iconic Seating Custom Fit to Your Lifestyle a helpful read. Flexsteel has been building quality seating products since its founding in 1893 in Minneapolis, Minnesota. And today, the company maintains about 11 production plants in 10 states. Key to Flexsteel upholstered seating products is its namesake Blue Steel Spring. In fact, Flexsteel claims that the spring is incredibly durable. So it never needs to be replaced. Also, it has a lifetime guarantee. When you order a Flexsteel chair, loveseat, sofa or sectional, you get to choose from a number of options. Like the wood finish, fabric, cushion style and trim. And you’ll receive the superbly-built, durable, beautiful and comfortable product that bears the iconic Flexsteel name. The furniture designers at Flexsteel incorporate a number of customer-friendly features into each seating product. Like high-density seat cushions, including cushions attached to the back for added comfort. Also, the sofas come with a close-to-the-wall proximity feature. So, you can recline in any position with the sofa positioned only six inches from the wall. Also, thanks to the power mechanisms, you can smoothly recline to any position with the touch of a button. What’s more, removable backs make it easy to lift and maneuver your sofas through doorways. View many Flexsteel seating products, on the Brandenberry Furniture’s online store. Or, visit their ‘brick and mortar’ store in Shipshewana, Indiana. And talk to their expert customer service staff about creating custom-made furniture for your home and lifestyle. There’s something fascinating about secret compartments in a house. Everything from the secret room in the World War II-era Anne Frank House in Holland to the safe behind the living room picture in Hollywood movies. Now, Brandenberry Amish Furniture reveals that it offers many pieces of Furniture with Hiding Places – or secret compartments. You’ll find an out-of-sight, out-of-mind jewelry case behind this Artesa Jewelry Mirror. Most of the secret compartments are built into Brandenberry’s bedroom furniture. And the dressers with a hidden jewelry compartment behind the mirror is a prime example. An intruder would very likely assume that the 3-inch-deep, wooden mirror frame is just part of the design. But the dressers’ owners know differently. Because a push-touch feature opens a jewelry slide on the right and left sides of the mirror. And the builders designed the jewelry compartment to store necklaces, bracelets and rings. Brandenberry also offers cheval mirrors with a hidden jewelry compartment at the back, similar to those in the dressers. Other hidden compartments include a velvet-lined jewelry drawer tucked below a shelf that’s behind two small doors in the Mountain Master 10 Drawer, 2 Door Dresser. In addition, what appears to be two decorative arch designs at the base of the Carriage Mission Display Case are in fact two secret drawers. They’re perfect hiding places for items like money, keys and documents. What’s more, the Newport Buffet has a plain wooden base which pops open as a drawer when pushed. Integrating secret compartments into furniture illustrates the ingenuity and great craftsmanship of the Amish builders. In fact, these skilled craftsmen painstakingly handcraft each piece. Also, they use solid hardwood like oak, maple, cherry and hickory. What’s more, they utilize skills handed down from their ancestors, along with modern technologies. So the pieces they create are incredibly sturdy and durable. With proper care, each piece should become a cherished heirloom. To learn more about furniture with hiding places, visit Brandenberry Amish Furniture’s online store. Or stop in at their ‘brick and mortar’ store in Shipshewana, Indiana. And talk to their expert customer service staff about creating custom-made furniture for your home and lifestyle. Hardwood Versus Softwood Furniture: Is There a Difference? Comments Off on Hardwood Versus Softwood Furniture: Is There a Difference? People in the furniture business love talking about ‘hardwood furniture.’ And they never seem to mention ‘softwood.’ Is there a difference? And how does it affect what to look for in your next piece of furniture? Hardwood Versus Softwood Furniture: Is There a Difference? will clarify things. One of the challenges of having lots of jewelry is keeping all your treasured pieces organized. Right after putting on your outfit, you want to reach for the right accessories. You don’t want your necklace tangled or your earrings misplaced. So what’s the best solution? A Jewelry Armoire: Stylish Way to Keep Jewelry Organized. 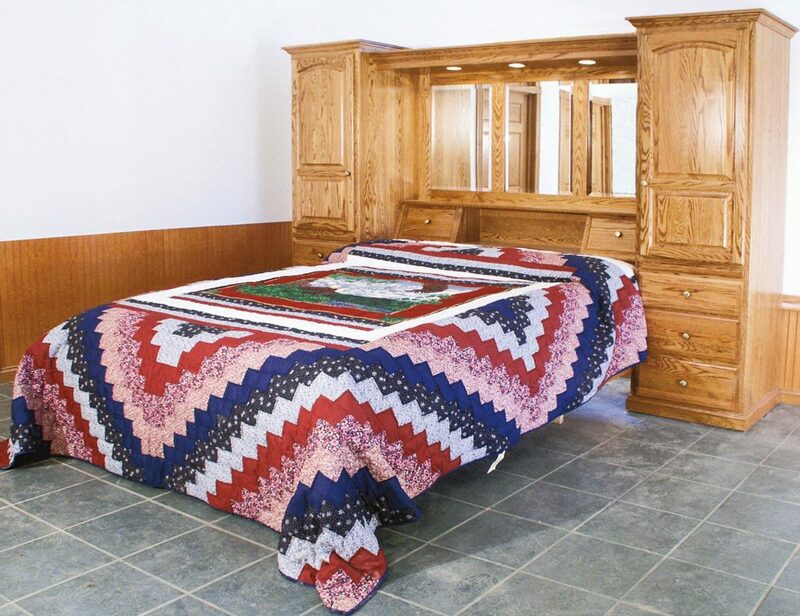 Brandenberry Amish Furniture offers a plethora of solid hardwood, custom-made Bedroom Jewelry Armoires. Jewelry armoires from Brandenberry are perfect for storing your jewelry and other personal items. That’s because they have the timeless beauty, sophisticated features and custom options that befit your fine jewelry and upscale bedroom. The Winged Mill Shaker Jewelry Armoire from Brandenberry is one of the many stylish ways to keep your jewelry organized. The armoires come in three versions: table-top armoires, floor armoires and armoires integrated into dressing tables. If you have lots of jewelry, including an assortment of costume jewelry, you may find one of the floor armoire most desirable. Yet, no matter which unit you choose, you’ll still be able to enjoy a number of user-friendly features. They include a mirror, plus velvet-lined drawers and wings. You’ll also find slots for holding rings and bracelets. In addition, the armoire features wooden dividers for keeping loose jewelry or sachets containing your earrings and other precious jewelry. What’s more, the drawers open to full extension. So you need not fear losing items at the back of a drawer. Also, the side wings have hooks to keep your necklaces organized. Worried about your most prized items? Some armoire have an optional hidden drawer. Skilled Amish artisans custom-craft each jewelry armoire. The Amish builders use solid hardwoods like oak, cherry and maple plus other quality components. As a result, the jewelry armoire you choose will be incredibly sturdy and durable. It is a stylish and beautiful bedroom accessory. A piece of furniture that you’d love to pass on to the next generation. To view Brandenberry’s impressive collection of Bedroom Jewelry Armoires, visit Brandenberry Furniture’s online store. Or stop in at their ‘brick and mortar’ store in Shipshewana, Indiana. And check out their jewelry armoires for yourself. Back in the day when hi fi stereo music was the rage, the first thing you’d see as you entered a living room, den or man cave was the stereo system. The turntable, tape deck, AM/FM tuner, amplifiers and speakers would be all neatly arranged on the stereo furniture stand. Open TV stands are today’s equivalent of yesterday’s stereo stands, only better. Because an Open TV Stand from Brandenberry Amish Furniture lets you show off your stereo system and other whiz bang digital equipment plus your big screen TV, it is sure to be a feature in your family room. Also, you’ll get a top-quality piece of furniture that’s great-looking and strong. The best cabinetmakers in the Midwest handcraft each Brandenberry Open TV Stand. The Amish men use solid regional hardwoods like oak, maple and cherry. What’s more, the builders utilize tried-and-proven, traditional construction techniques and skills handed down from their ancestors. As a result, the unit you buy will be incredibly sturdy. In fact, with proper care, it should become a family heirloom. Here are a few of the many Open TV Stands available from Brandenberry. The units all feature solid hardwood construction, a 1-inch-thick solid hardwood top and a full-extension drawer. Straight Royal Mission Open TV Stand features decorative corbels, slatted sides, diamond inlays and black Mission hardware. 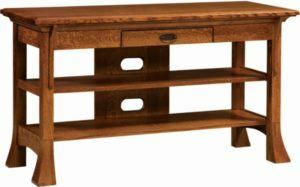 Rio Mission Open TV Table comes with slatted sides, mortise and tenon joints plus Mission-style simplicity. 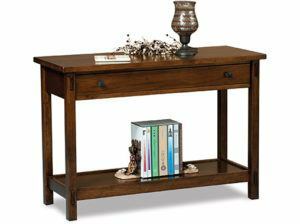 Pasadena Open TV Console stands out, thanks to its 1-inch steel band and buttons plus its rich genuine woodgrain. To view Brandenberry’s impressive collection of open TV stands, as well as closed TV consoles, visit Brandenberry Furniture or stop in at their ‘brick and mortar’ store in Shipshewana, Indiana. Check out the TV stands, consoles and entertainment centers for yourself. When you hear the term, “antique furniture,” what’s the first thing that pops into your mind? Chances are it’s Queen Anne furniture because you think of furniture with a dainty look, curved feet and arms. Plus ornate scrolls. So what’s the origin of this furniture style? What are its characteristics? Also, where can you find Queen Anne furniture today? To answer these questions, let’s explore Queen Anne: Beautiful ‘Antique’ Furniture For Today. This ornate Queen Anne Dressing Table illustrates the idea, Queen Anne: Beautiful ‘Antique’ Furniture For Today. The Queen Anne style developed in late 17th Century to early 18th Century England. More than a century after the style became popular, it began to be called Queen Anne. In fact, people also called the Queen Anne style Late Baroque and Early Georgian. Because the style represents a blend of several influences. Like Baroque, classical and Asian. Skilled British craftsmen immigrated to America as early as the 1720s and ‘30s. And they began producing Queen Anne-style furniture. In fact, Boston, Mass., became the center of production for Queen Anne furniture. Later, cabinetmakers in Philadelphia, Pa., began making their version of Queen Anne furniture on a large scale. A collection of features gives Queen Anne its light, curvy, dainty and distinctive look. Prominent features are wood fashioned in C-scroll, S-scroll and S-curves. Another feature is the modified S curve in the back of chairs. And this curve matches the curvature of the spine. In fact, this feature, along with padded seats, help give Queen Anne furniture its reputation for comfort. Other predominant features of the Queen Anne style are wing-back chairs and restrained – usually shell-shaped — ornamentation. However, the most recognizable (and most imitated) element of Queen Anne furniture is the cabriole leg. This shape is distinguished by a convex shape at the top and a concave shape at the bottom. Plus an ornate foot. The best place to find top-quality Queen Anne furniture is Brandenberry Amish Furniture in Shipshewana, Indiana. Brandenberry’s Queen Anne-style offerings include vanities and dressers. Also secretary desks and jewelry armoires. Yet, Queen Anne furniture from Brandenberry is superior to furniture you’ll find in most franchise furniture stores and online stores. That’s because skilled Amish cabinetmakers custom-craft each item of furniture. And the Amish builders use quality regional hardwoods. Like oak, maple, cherry and hickory. So, with proper care, the furniture you buy should easily become a family heirloom. You can explore Brandenberry’s collection of Queen Anne furniture online at Brandenberry Amish Furniture. Or, check out Brandenberry furniture in person by visiting their ‘brick and mortar’ store in Shipshewana, Indiana. Nothing turns your living room or den into a comfortable family zone like a sectional sofa. If you think your living space is not suitable for a sectional, then you need to read about our cozy sectionals. • Sectionals create a ‘room within a room.’ The two or three-sided format of a sectional, placed in front of a large item of furniture like an entertainment center, creates a cozy environment within a living room or family room. • Sectionals create pleasing divisions. For example, you can use a sectional to divide your large living area between the TV-viewing/socializing/entertainment area and the more intimate fireplace area. • Sectionals make a small space more comfortable. By lining two walls, a sectional helps focus attention on the ottoman or coffee table in the middle of the room, making the space seem more welcoming. Brandenberry Amish Furniture offers a great selection of sectional sofas. The units represent different styles and options for seating and lounging. Choose any of the cozy sectionals because you can rest assured that it will be a notable, head-turning centerpiece of your living room or den. • The Dempsey Sectional (shown above) features sleek lines and a well-crafted, contemporary look. Also, its Flexsteel Blue Steel Seat Spring exemplifies its superior construction. 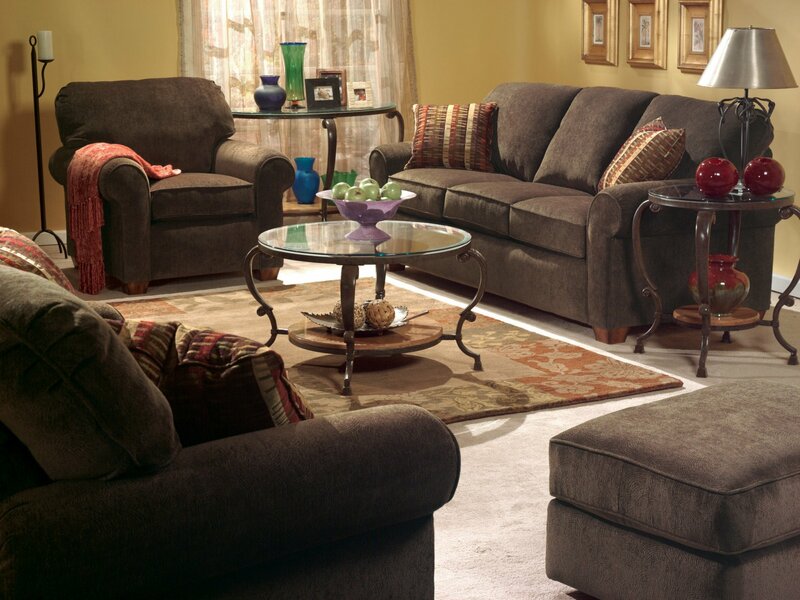 • Skilled craftsmen fashion each Digby Sectional around a solid hardwood frame. What’s more, the craftsmen included a C-Flex Flexsteel Spring Unit plus a chaise for stretching out and relaxing. So imagine the comfort this cozy sectional can bring to your home. • The Thornton Sectional features plush cushions and large size so it has room for the entire family. You can customize this and the other sectionals to fit your needs and desires. To view Brandenberry’s impressive collection of sectionals, browse through Brandenberry Furniture online or stop in at their ‘brick and mortar’ store in Shipshewana, Indiana. Check out their sectionals, sofas, loveseats and chairs for yourself. People in the furniture industry talk a lot about ‘occasional tables.’ That’s the catch-all term for coffee tables, end tables and sofa tables. Ask anyone how coffee tables and end tables are used and you’ll get the correct answer. What are wooden sofa tables all about? You might be surprised so let’s talk about them. Browse through our entire collection of our sofa tables. They are so versatile, you can use them in just about every room in your house. Here are some of the main ways sofa tables can enhance comfort and beauty in your home. Sofa Tables: More Versatile Than You Think — this Centennial table from Brandenberry is ideal for many rooms in your home. If your living room is adjacent to another room – such as your dining room — a sofa table makes a fantastic divider. Just place the table directly behind your sofa. Deck it out with items like table lamps, books, candy dishes and figurines. Watch your sofa table go to work. First, it gives your home a grand first impression, adding beauty to the dining room. Second, it enhances the comfort of the living room itself. How? Family members or guests seated on the sofa can have easy access to items on the sofa table, such as lights, books and sweets. Of course, in this position the sofa table also makes the back of your couch more attractive. As in the case above, the sofa table immediately behind the sofa (hence the name), looks and works best when the table is about the same height as the sofa. Also, if you place the sofa table immediately behind the sofa, you might wish to order one that matches your coffee table and end tables. The tall stance, wide profile and narrow depth of a sofa table lends itself to serving as an excellent dining room sideboard. If you choose an enclosed sofa table or an open unit with a broad bottom shelf, you will gain some valuable storage space for your company dishes, silverware and other items. Decorated with freshly cut flowers, a sofa table is ideally suited for your foyer or hallway. Also, if you have a large bathroom and not enough storage, a sofa table could come in handy. You can store your towels and washcloths down below and place nice decorations on top. You can get wooden sofa tables from many sources – both on the Internet and in traditional furniture stores. If you’re looking for superbly-built, solid hardwood sofa tables, your best source is Brandenberry Amish Furniture in Shipshewana, Indiana. So what makes sofa tables from Brandenberry different? Skilled Amish cabinetmakers painstakingly handcraft each table. The Amish men use solid hardwood like oak, maple, cherry and hickory so the pieces they create are incredibly sturdy and durable. With proper care, each piece should become a cherished heirloom. Brandenberry’s lineup of sofa tables includes many styles and designs such as Mission and Traditional, open and enclosed units. 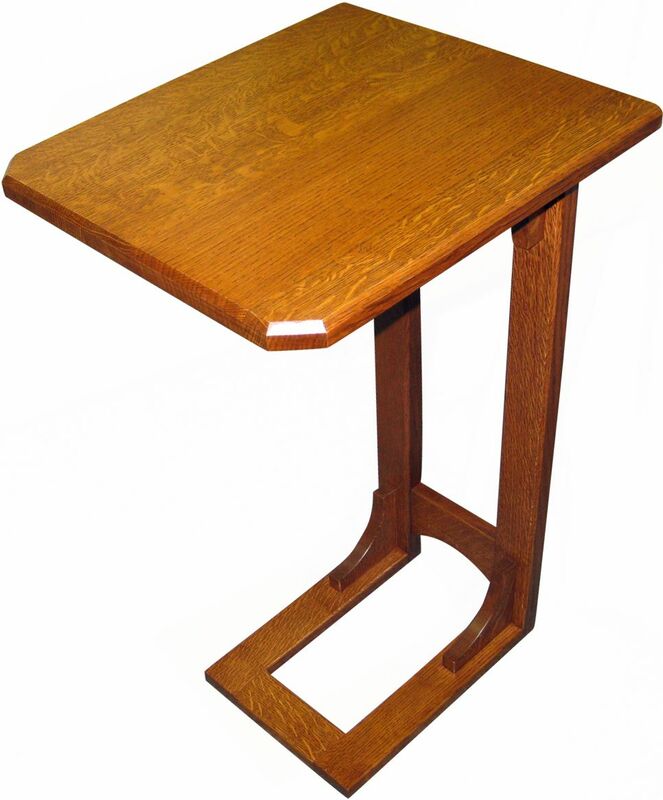 You can view Brandenbery’s sofa tables by visiting Brandenberry Furniture’s online store. Stop in at their ‘brick and mortar’ store in Shipshewana, Indiana and talk to their expert customer service staff about creating custom-made furniture for your home and lifestyle. With an increasing number of Americans working from home these days, the need for comfortable, workplace-friendly and great-looking furniture has never been greater. In fact, US government sources report that close to 4 million Americans are now working at home at least part of each week. And this doesn’t factor in the large population of retirees who work from home. How should you stay productive at home? This is where Solid Hardwood Furniture: Perfect for Working From Home comes in. If you’re one of the millions of Americans who work at home full time or part-time, you’re fully aware of the need for a comfortable, productive work space. And in this regard, great office furniture is key. But which desk, credenza, file cabinet, bookcase, chairs and other pieces of office furniture are right for you? Here’s where you have to make a big decision. You can choose furniture from big box stores and franchise office furniture stores. Usually, these items of furniture are great-looking – with their polished surfaces, fancy hardware and faux leather. But take a closer look. Or ask a sales associate. And you’ll discover that most pieces are built with particle board — often with a veneer — and other bargain substitutes. Your other alternative is to choose superior-quality, solid hardwood furniture from Brandenberry Amish Furniture. Skilled Amish cabinetmakers custom-build each item of furniture. Also, the Amish men use quality regional hardwoods, such as oak, maple, cherry and hickory. What’s more, the Amish craftsmen incorporate tried-and-proven woodworking skills handed down from their ancestors. Plus, dovetail drawer joints enhance strength and durability. As a result, the pieces you buy should, with proper care, last for generations to come. 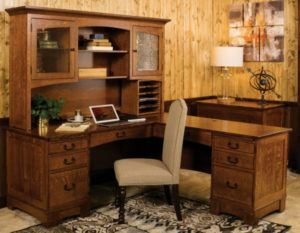 The Amish builders made sure to include a gamut of comfort and convenience features into each piece of office furniture. For example, drawers open full extension. So you’ll enjoy easy access to every square inch of space. Forget having to fight to retrieve a file or pencil from the very back of a drawer! Also, the builders include hookups for power and the internet. Plus, you’ll find lights or optional LED touch lights in credenzas. You can also choose executive chairs with padded leather and full ergonomic features. You can browse the full Office Furniture collection at Brandenberry’s website. Or, check out Brandenberry furniture in person by visiting their ‘brick and mortar’ store in Shipshewana, Indiana. Visitors from across America make the trip to made the trip to picturesque Shipshewana, Indiana, each year. They come for the Shipshewana events, food, entertainment, shopping – and the fine Amish furniture. Maybe you’re one of these visitors. Make plans now to visit the Amish Country of Shipshewana soon. Because there are events galore in Shipshewana this spring. So check out the events below. And when you get here, make sure you visit Brandenberry Amish Furniture, where you will find solid hardwood, custom-made Amish Furniture. While visiting for one of the many Shipshewana events spend some time in the downtown Shipshewana area and the shops scattered throughout the surrounding community to fully experience “Shipshewana”. While eating at a local restuarant be sure to try the light brown, thick tasty treat known as Amish Peanut Butter! Mar 2, 10 a.m. – 8 p.m.
Mar 3, 8 a.m. – 5 p.m.
Mar 8, 10 a.m. – 8 p.m.
Mar 8, 7- 9 p.m.
Mar 10, 7 a.m. – 8 p.m.
Mar 17, 2-4 p.m. & 7-9 p.m.
Mar 20-21, 8 a.m. – 5:30 p.m.
Mar 30, 9 a.m. – 7 p.m.
Mar 31, 10 a.m. – 5 p.m.
Apr 5, 9 a.m. – 5 p.m.
Apr 6, 9 a.m. – 5 p.m.
Apr 7, 9 a.m. – 10 p.m.
Apr 14, 9 a.m. – 5 p.m.
Apr 15, 8:30 a.m. – 8 p.m.
Apr 21, 7 a.m. – 1 p.m.
Apr 21, 9 a.m. – 5 p.m.
Apr 26–27, 9 a.m. – 5 p.m.
Apr 28, 9 a.m. – 4 p.m.
Apr 28, 11 a.m. – 3 p.m.
Each February in the heart of winter experience some of the following pre-spring Shipshewana events while the ground is frozen and the air is crisp: Pajama Day, a variety of music shows, Camping and RV Shows and much more. No piece of furniture screams “a fashionable woman lives here” like a vanity or dressing table in a bedroom. And if you currently own a vanity, or are planning to acquire one, you’re in good company. Because fashionable women have been using custom vanities and bedroom dressing tables for more than two centuries. So let’s talk about Staying Beautiful: Custom Vanities and Dressing Tables. This Mission Dressing Table with Fabric Bench is one of the many vanities and dressing tables available from Brandenberry. Vanities and dressing tables made their debut in France and England in the late 17th century. In fact, these tables were initially used to store cosmetic items. And well-to-do women wrapped cosmetics in small towels, which they stored in the vanities. Some dressing tables in Europe were called “toilet tables,” because they had a handy wash basin. (Indoor plumbing did not exist back then.) Also, people added stools, so maids could help style the hair of ladies of the house. What’s more, rich folks ordered their vanities and dressing tables in ornate designs. And these designs are replicated in today’s vanities. Cabinetmakers in the United States built dressing tables with simpler designs than their European counterparts. The Chippendale style was one of the most popular. And the Queen Anne wasn’t very far behind. By the latter part of the 19th Century, the dressing table became a matching part of the bedroom suite. Hollywood films of the 1920s and ‘30s popularized dressing tables and vanities as a natural item of furniture for every glamorous woman. Today, discriminating women have lots of options for vanities and dressing tables. But furniture lovers looking for great design, solid hardwood construction, beauty and durability turn to Brandenberry Amish Furniture. 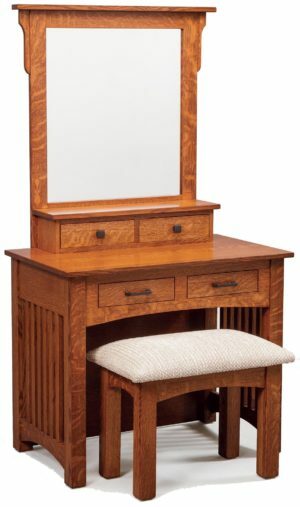 In fact, Brandenbery offers a wide variety of wood vanities and dressing tables. They include Queen Anne, Shaker and Mission styles. With fixed, tilt and tri-view mirrors. And, of course, padded stools. You’ve heard the axiom, beauty is only skin deep. The Amish men who build Brandenberry’s vanities and dressing tables prove that saying wrong. Sure, they give every unit a beautiful exterior. With intricately carved woodwork, rich finishes and eye-catching hardware. But the bedroom vanity or dressing table you order from Brandenberry is beautiful to the core. Because the craftsmen build each piece from solid hardwoods. Like oak, cherry, maple and hickory. And they use traditional woodworking methods. Like drawers with dovetail joints. And no bargain substitutes like particle board anywhere. So the vanity you choose should, with proper care, last for generations to come. 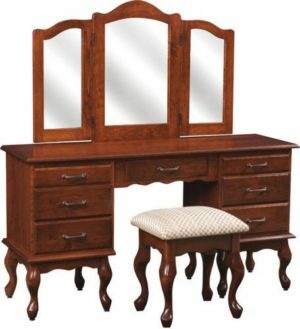 You can explore an impressive collection of solid wood, Amish-made vanities and dressing tables online at Brandenberry Amish Furniture. Or, check out Brandenberry furniture in person by visiting their ‘brick and mortar’ Shipshewana, Indiana store. 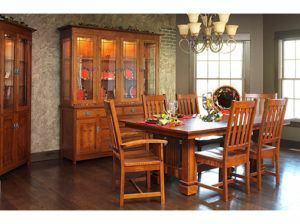 Do you believe your smaller dining space should be furnished in as grand a style as a larger ‘formal’ dining room? Then, you’ll love the Vadsco Table Set from Brandenberry Amish Furniture. Because our Amish builders created a table set that combines an eye-catching Scandinavian vibe with custom hardwood construction. And that’s the Vadsco Table Set: Euro Look, Solid Amish Construction. 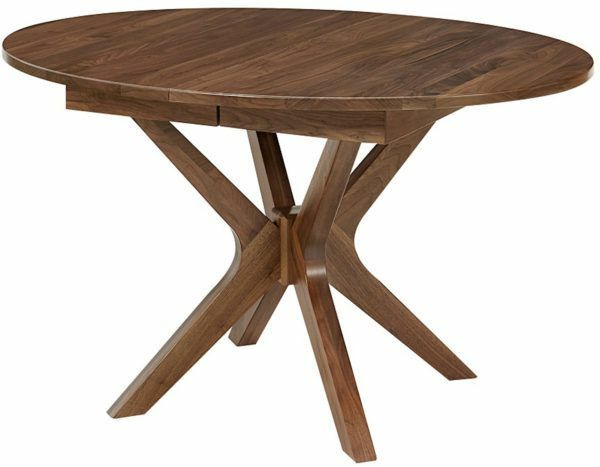 The Vadsco Table features an innovative, oval-shaped top made of 1-inch solid hardwood. And the solid top rests on a modern, Euro-style, solid wood pedestal base. So the table is both eye-catching and sturdy. 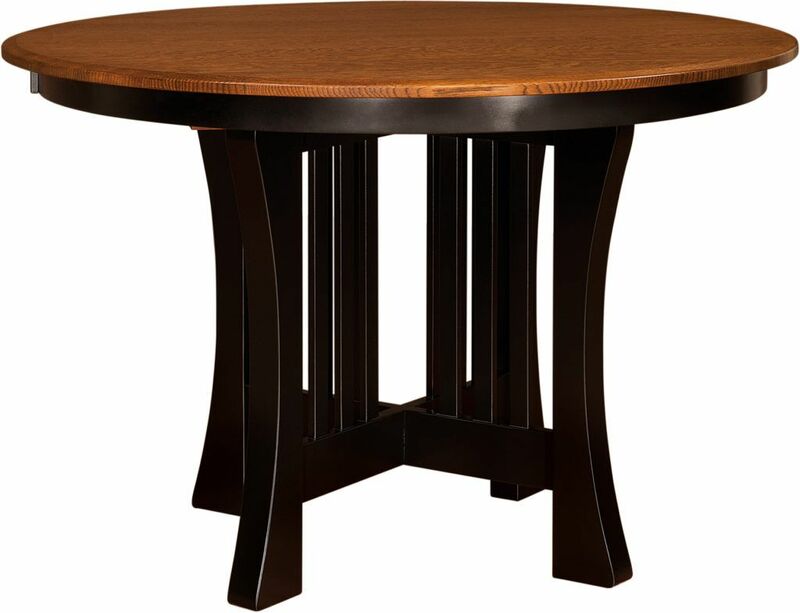 Brandenberry offers the table in a standard length of 54 inches and in widths of 42 or 48 inches. Also, you can choose to have the table built with a solid top without leaves. Or, you can add a 12-inch leaf. With its curved seat and splayed legs, the Vadsco Bench perfectly complements the Vadsco Table. And in doing so, it mirrors the Scandinavian style furniture vibe of the table. So, the 54-inch-long bench gives a formal, yet friendly, feel to your dining area. Need chairs to match the table and bench? You can select from among the hundreds of dining room and kitchen chairs Brandenberry offers. 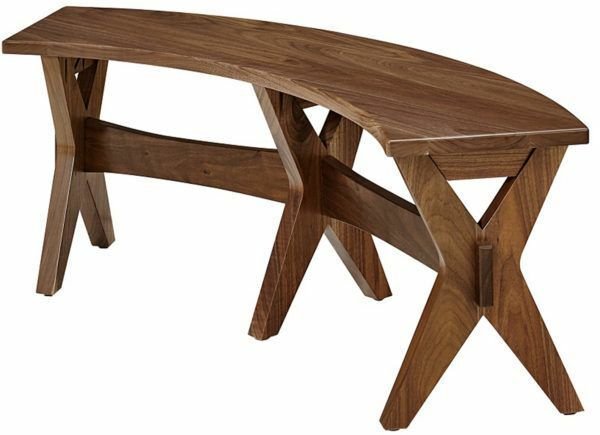 The Vadsco Table and Bench shown is made from walnut. You can order the set in this wood specie. Or, you can choose cherry, maple or oak. In addition, you can select from a plethora of stain options. As a result, you’re able to custom-design the Vadsco Table Set to be uniquely yours. Skilled Amish cabinetmakers custom build each Vadsco Table Set. Also, the Amish men use solid regional hardwoods. They also incorporate tried-and-proven woodworking skills handed down from their ancestors. As a result, the pieces you buy should, with proper care, last for generations to come. The Vadsco Table Set is one of the many sturdy, great-looking and durable dining table sets offered by Brandenberry Amish Furniture. You can explore the Vadsco Table Set and the entire lineup of dining tables online at Brandenberry Amish Furniture. Or, check out Brandenberry furniture in person by visiting their ‘brick and mortar’ store in Shipshewana, Indiana. Looking for furniture for your home? Then, you have to make a key decision: Choosing veneer or solid wood furniture. Veneer furniture runs the gamut from cheaply-made through well-crafted pieces covered by veneers. Also, most solid wood furniture tends to be sturdy and well built. Veneer vs Solid Wood Furniture: Head-to-Head Match-up 1 takes a look at the pros and cons of both types of furniture. 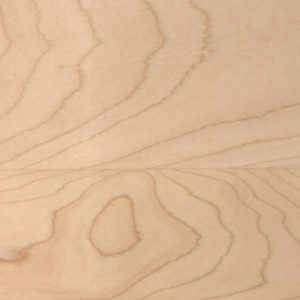 Furniture veneer is a thin slice of hardwood bonded to another type of wood or wood substitute like particle board. Usually, craftsmen make veneers from expensive or exotic woods. And these include walnut, rosewood or teak. Also, furniture manufacturers use veneers for all types of furniture. By solid wood furniture, we mean furniture made of quality hardwoods. And these include oak, cherry, hickory and maple (pictured). Also, hardwoods are tough and relatively dense. So, they’re durable, malleable — and perfect for fine furniture! Exotic Appearance and Fancy Designs: Furniture craftsmen love to painstakingly cut, finish and arranged pieces of veneer into beautiful patterns. Like the collage of neatly arranged woods in the center of a table. But cabinetmakers also match the grain pattern of different pieces of veneer to create furniture with a more uniform grain pattern. What’s more, cabinetmakers form veneers in unusual shapes and designs. The curved contours of a grand piano are one example. Exotic appearance and fancy design winner: Veneer. Initial Investment: Typically, veneer furniture costs less than solid wood furniture. And this makes sense. Because solid wood is more expensive than veneers and wood substitutes. Plus, solid wood pieces often involve hand craftsmanship. While workers put together most veneer furniture on an assembly line. However, factor in the long life of solid hardwood furniture. And you’ll find that solid wood furniture provides a better return on investment over time. Initial investment winner: Veneer. Strength and Durability: The strength and durability of veneer furniture largely depend on the type of material to which the veneer is bonded. So furniture with softwood below the veneer tends to be sturdier than veneer-covered particle board. Why? Particle board tends to crumble when damaged. So it cannot be repaired. But furniture builders find solid wood incredibly strong and durable. Why? Because of its relatively tough and dense characteristics. For example, solid wood drawers withstand repetitive use, year after year. In fact, with proper care, solid wood furniture should last for generations to come. Strength and durability winner: Solid wood. 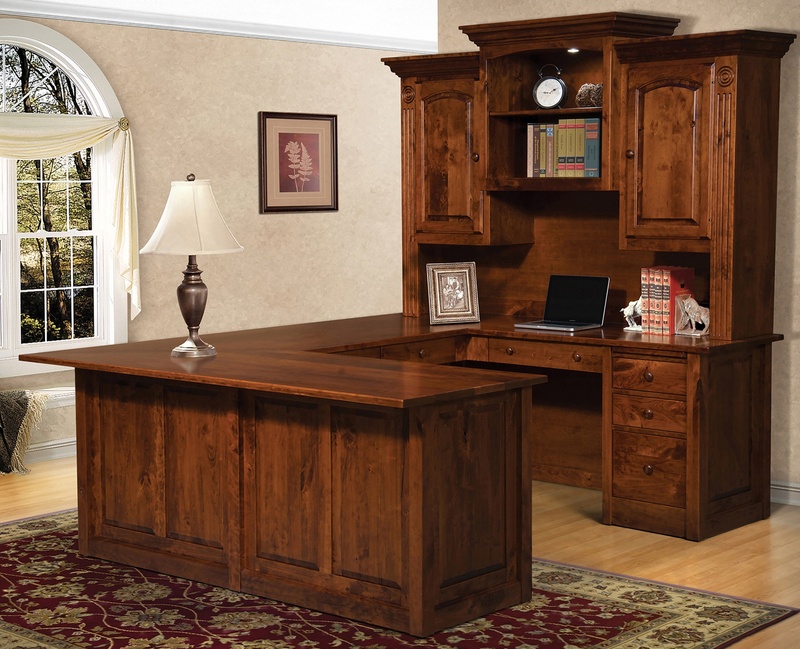 You can explore a vast array of solid wood furniture online at Brandenberry Amish Furniture. Or, check out Brandenberry furniture in person by visiting their ‘brick and mortar’ store in Shipshewana, Indiana. In the blog, Veneer vs Solid Wood Furniture: Head-to-Head Match-up 2, we will look at other advantages and disadvantages of veneer versus solid wood furniture. It happens every time you check out a new piece of furniture. You ask yourself, is it veneer or solid wood? In Veneer vs Solid Wood Furniture: Head-to-Head Match-up 2, we’ll pick up where we left off in the Match-up 1 blog. And we’ll look at some other pros and cons of both types of furniture. In furniture, a veneer is a thin slice of hardwood bonded to a wood substitute like particle board, or another form of wood. Traditionally, craftsmen create veneers from expensive or exotic woods. In fact, you’re probably seen examples of such walnut, rosewood or teak veneers. Also, you’ve probably noticed that veneers are used on all types of furniture. By contrast, solid wood furniture is made of quality hardwoods. And these include oak, maple, hickory and cherry (pictured). Also, hardwoods are tough and relatively dense. So, they’re durable, malleable — and perfect for fine furniture! Restoration Potential: What happens when furniture begins to look dull as the years go by? 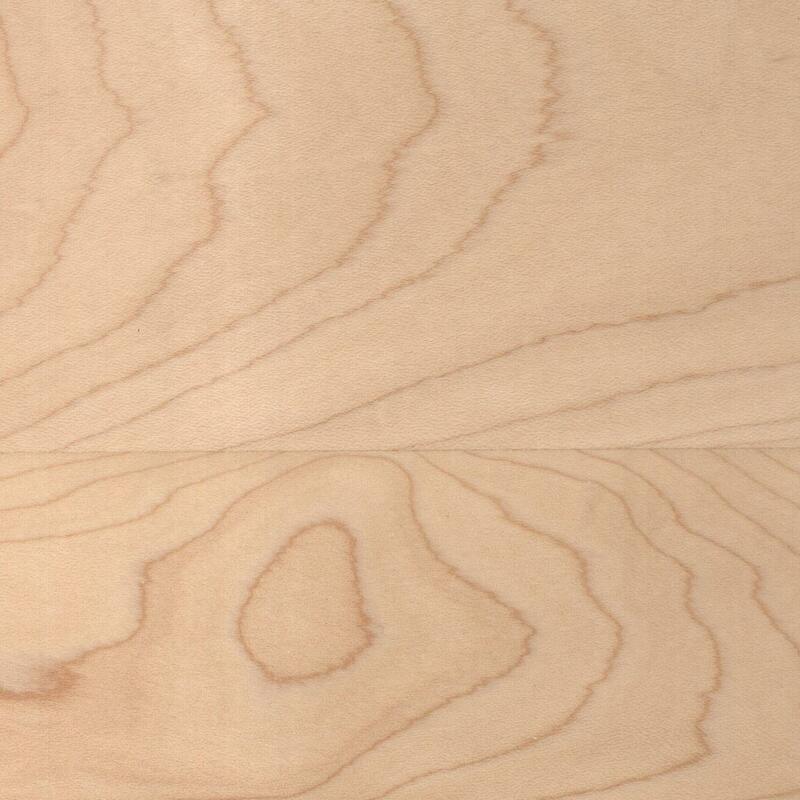 If your veneer furniture begins to look old and worn, you might not be able to refinish it. Because you might just wear though the veneer. Ouch! However, buy solid wood furniture. And you can refinish it. So imagine your furniture looking new again. With beautiful woodgrain and smooth, blemish-free panels! Restoration Potential winner: Solid Wood. Furniture Movement: As you might expect, solid wood furniture is heavier than veneer furniture. So when its time to move furniture within your house or to another house, Veneer wins. Pro Green: Many plastics and veneers used for furniture are heavily processed. In fact, manufactures fill them with chemicals, including formaldehyde. Conversely, buying solid wood furniture helps you score some notches in the sustainability category. This is because many solid wood furniture builders use use quality, sustainably sourced hardwoods. Pro Green winner: Solid Wood. The’re arguably no better place to explore solid wood furniture than at Brandenberry Amish Furniture. And you can do this by visiting Brandenberry’s online store. Or, you can check out Brandenberry furniture in person by visiting their ‘brick and mortar’ store in Shipshewana, Indiana. Nothing adds life, color and balance to your home like live plants. But do your plant stands do justice to the lovely plants and accessories above them or the fine furniture and fixtures that surround them? Wooden Plant Shelves and Plant stands from Brandenberry Amish Furniture do. That’s why you should know about Brandenberry’s wooden plant shelves and stands. Brandenberry’s collection of wooden plant shelves and plant stands have three things in common. They’re beautiful, sturdy, and made of solid wood. Apart from that, the plant stands are as varied as they come. In fact, they represent a wide variety of styles, shapes and configurations. Wish to match your wooden plant stand with your existing furniture? 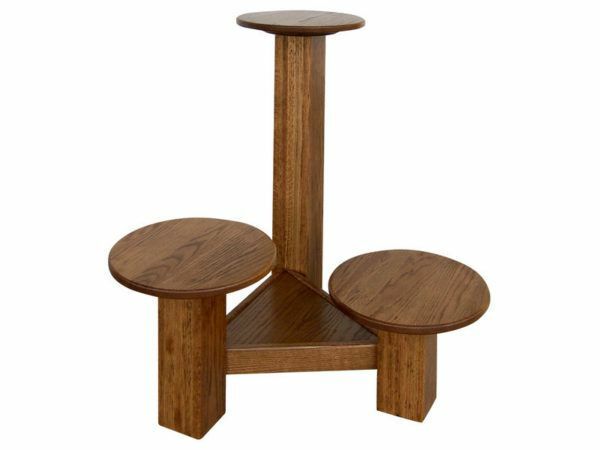 No worries because Brandenberry plant stands come in many styles including Mission, Shaker and Modern styles. You can choose single units, available in several sizes. The Charleston and Elliot plant stands are examples of these. Multi-tier plant stands from Brandenberry represent another option for displaying your plant collection. The Ladder Shelf and Tier Stands are two options to check out. So here’s the bottom line: You’re sure to find the right plant stand to fit your décor. Amish artisans build the wooden plant shelves and stands from solid hardwoods like oak, cherry and maple. In fact, the Amish builders make the stands very sturdy. Whether you choose to use your wooden plant stand for plants or accessories, with proper care, they can help keep your home beautiful for decades to come. What’s more, you can choose plant stands from the online collection or, just ask the professionals at Brandenberry to customize the stands for you. You can select items like the wood specie, finish (or unfinished) final size and so forth. Wish to view Amish wooden plant stands from Brandenberry? Visit Brandenberry Furniture’s online store or stop in at their ‘brick and mortar’ store in Shipshewana, Indiana to see plant stands and other pieces of Amish Furniture for yourself.